Casepeace online store is glad to offer you great Best Sellers Phone Cases for you. Whether you want to purchase one for yourself or you are looking for something to present your friend with, here you will find a wide selection of cat phone cases, comic book phone cases, sports phone cases or other iPhone cases. Just find phone case gifts you like most of all, and we’ll deliver it! Meet cutest phone cases on the Internet! 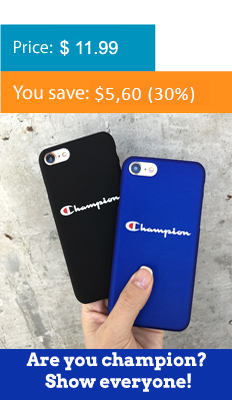 Awesome champion phone cases, lebron james phone cases, and even Tv Series phone cases at our store you will find. You will design your phone cases with this great iPhone cases. Be hurry and do not miss this great Best Sellers iPhone cases. Register now to get monthly updates on promotions and coupons. We don't believe in spam.